Corrina is a Partner in KPMG’s Management Consulting Practice with a focus on Government Advisory. She has 17 years’ experience in providing strategic advice to public sector clients to underpin evidence based public policy development; organisational strategy, design and governance arrangements; program evaluation and review; and business case development. Her key areas of policy expertise include education, skills, innovation, economic and regional development. Corrina is KPMG’s lead Partner for our relationship with the Victorian Department of Economic Development, Jobs Transport and Resources (DEDJTR) and the Department of Environment, Land, Water and Planning (DELWP). Corrina supported LaunchVic and local councils across Victoria to develop an integrated framework and tool kit to support the emerging start-up community and to encourage entrepreneurship. KPMG developed a framework and key tools to equip local Economic Development Managers (EDM’s), including representatives from small, metropolitan and regional councils, with an increased capacity to support start-up activities within their local constituency. To support the framework development, KPMG engaged broadly with key stakeholders groups, and the EDM’s across the State of Victoria to gain a system level understanding of the differing needs, factors and enablers that drive local start-up activity. The framework has been released by the Minister for Innovation and KPMG’s recommendation for a targeted funding round to support Councils developing their stat up ecosystem has been announced, with applications currently being considered. 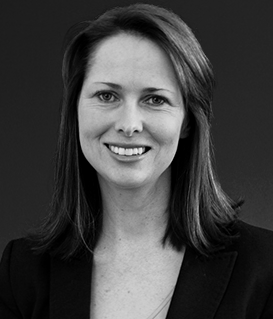 Corrina holds a Master of Public Policy and Management from the University of Melbourne and Bachelors of Commerce (Economics) and Arts (Politics) from Monash University.